Though I don’t generally write about fashion and related topics, I went a bit (weird) shopping-crazy lately and wanted to show you my latest purchases that I highly adore! I never planned on buying stuff from Aliexpress, though I knew it is a good site, just the thought that it could take up to more than a month to receive the purchase gave me the nerves. But then something happened, I’ve seen that beautimous tank top you see in the picture above, anything related to body-bizareness has to be MINE, so completely fell in love with it and bought it the second I saw it (it was only $6.17. BARGAIN! 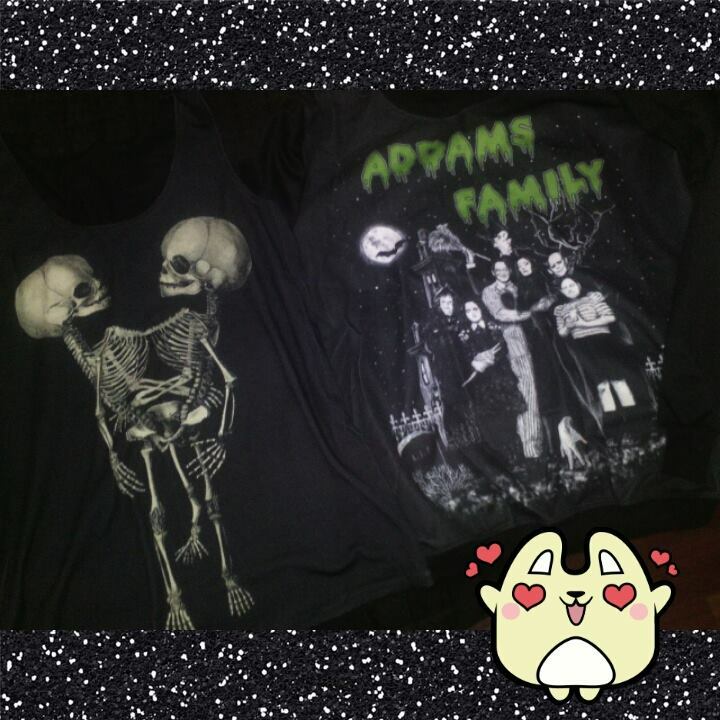 ), then in the same store I found the Addams Family sweatshirt and as I love the movies and the series I got that too (another bargain, it was only $12). As for the tank top I like to style it in a more goth-grungy look, hear me well: Black cardigan, black tight skirt, tights (of course) and as for the shoes you really can’t go wrong with a pair of Dr. Martens or a pair of chunky heeled Chelsea Boots. Of course how can you forget about the make up? With a look like this I often use a pearlescent baked eyeshadow and go BIG on the lips with a dark berry lipstick, which is usually Hang Up by MAC (which is also the only MAC lipstick I own). If you’re interested you can find the tank top –here-, gutted to say that the sweatshirt is sold out. I hope you won’t mind this kind of post from time to time. I just love to give some advices if you are looking for cool and different/unique stuff to buy. P.S. : I haven’t received these clothes for free so what you read in this post is my genuine opinion.